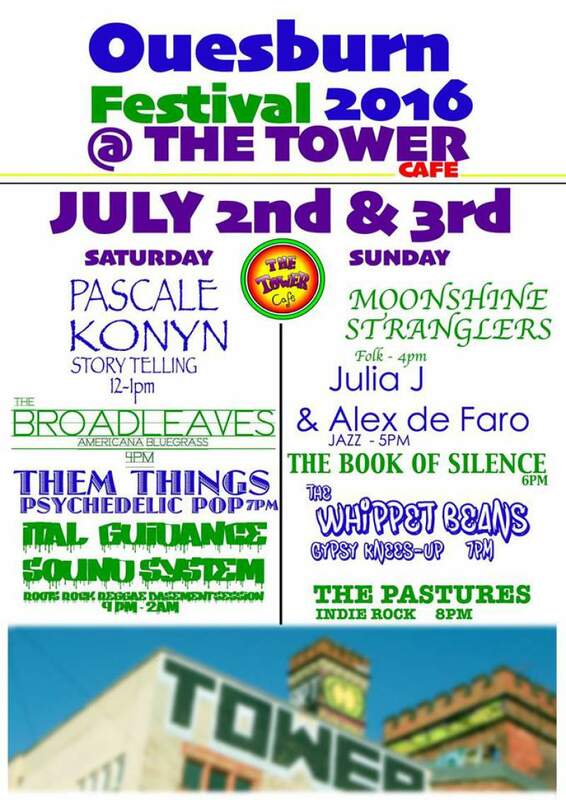 Today’s stage focus comes courtesy of Tower Café who will provide a variety of entertainment which spans the whole weekend. Saturday’s NARC. Fest contribution kicks things off early, with a storytelling session from Pascale Konyn, who tells tales gathered from many world cultures. Providing musical food for thought are The Broadleaves, whose alt. country, bluegrass and Americana sounds are the perfect soundtrack to a summer afternoon; making their first appearance of the festival, psych pop purveyors Them Things play an early set at Tower Café before they head along to The Cluny later in the evening. Ensuring the night finishes with a rhythm-fuelled bang, Ital Guidance Soundsystem bring rock, roots, reggae, dub and more until the early hours.